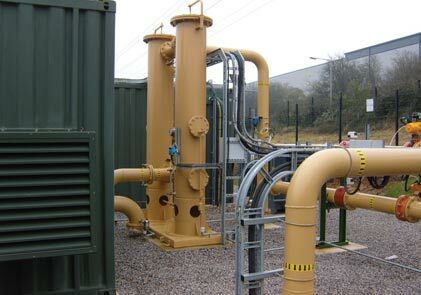 Kelburn Engineering Limited provides a complete range of gas filtration and liquid separation equipment. The Kelburn KR Series of coalescing filters removes both liquid droplets and solid particles from gas streams. These highly efficient coalescing filters are available as standard with solid particle and liquid droplet removal efficiencies down to 0.3 microns. 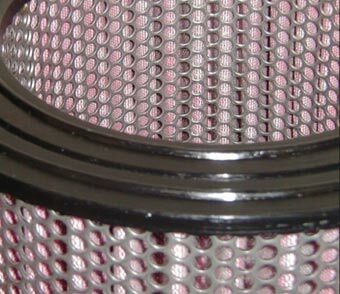 Other filtration retention ratings to suit customer specifications are available, typically: 0.1, 1.0, 2.0, 3.0, 5.0 & 10.0 micron. Solid particles and liquid droplets entrained within the gas flow enter into the KR filter vessel, where the gas then passes into the coalescer filter elements. 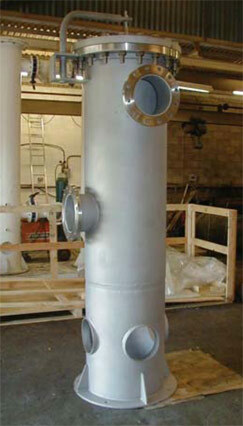 An integral pre-filter element design captures solid particles prior to the coalescing section of the element. The gas next passes through a borosilicate glass fibre media, where coalescence of the entrained liquid droplets takes place through impaction on the microfine filter media fibres. The droplets attached to the fibres agglomerate together and due to their now increased mass, drain through and pass out of the filter element to the vessels drain section for removal. Our large surface area pleated cartridge designs are used to increase gas throughput, provide compact vessel size, reduce gas velocity through the element to improve coalescence and avoid liquid re-entrainment, minimise pressure drops and to maximise the filter elements operational life span. The filter elements themselves have an inner and outer support core for increased strength and pleating support. 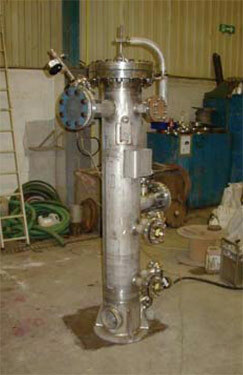 Filter configurations available to suit all gas process conditions. All gas flow, pressure and temperature ranges available. Quick opening closures for rapid filter element access. Material of construction- carbon, low carbon steels, austenitic and duplex stainless steels. Flange size and pressure ratings to suit customer requirements. Range of internal and external coatings available. Full range of nondestructive testing. Liquid hydrocarbon removal from fuel gas lines. Liquid droplet / solid particle removal from all gases - H2, N2, CO2, NH3, O2, CH4, C2H6 etc. Condensate removal from gas cooler outlet. Gas turbine protection on fuel gas system. 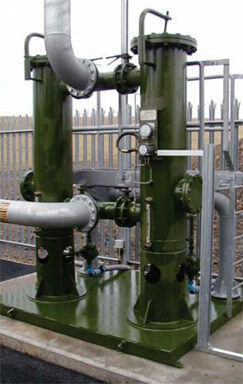 Oil removal from gas turbine breather systems. 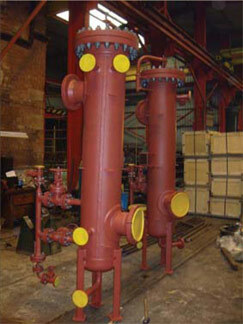 Filter units sized for each application, for maximum efficiency. High filter cartridge burst strength. Full range of filter sizes.